Formerly Nolan’s Corner. 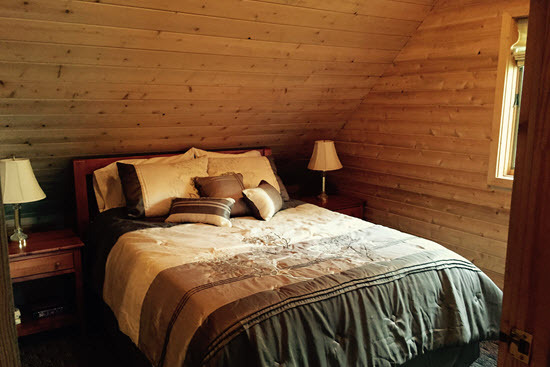 This cozy cabin is on Johnson’s Point, within biking distance of the Library, Island Treasures Resale, Stony Acre Grill and downtown St. James. 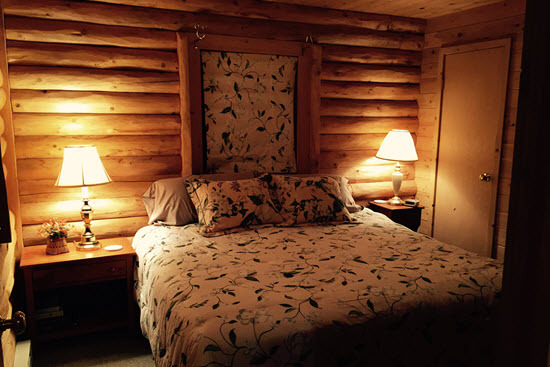 Nestled in a private woods, No Land, Just Sea sleeps 6 and up to 8 with extra rollaway beds, and includes linens, towels, and blankets. 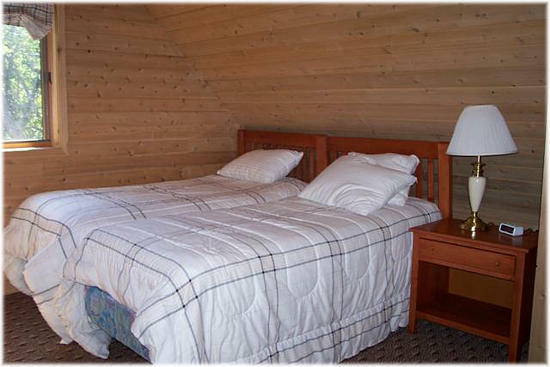 Equipped with 3 bedrooms, 2 full baths, has handicapped ramp, a full service kitchen (fridge, oven, dishwasher, microwave, coffeemaker, toaster), and a laundry room with washer and dryer, this cabin is perfect for your next family getaway. 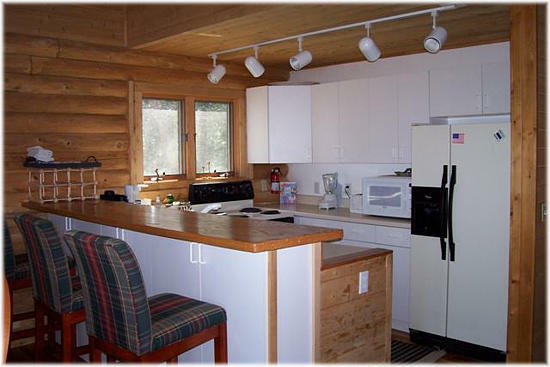 The open concept living area includes a stereo, phone for local calls, and TV with VCR, DVD and DirecTV. 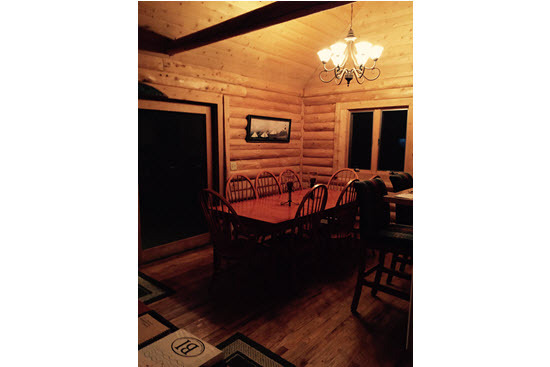 The cabin is stocked with books, puzzles, and family games for the occasional rainy day. 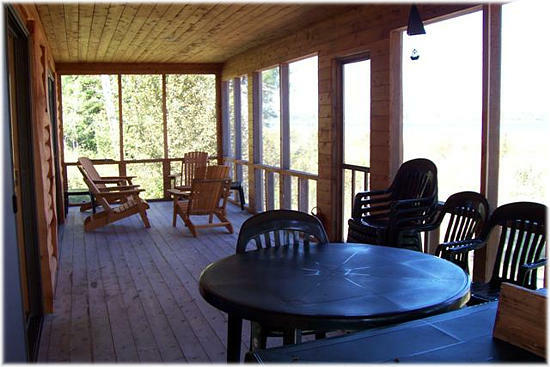 The screened-in back porch with Adirondack chairs and a porch swing is the perfect place to enjoy a beautiful sunrise or dinner at the outdoor dining table. 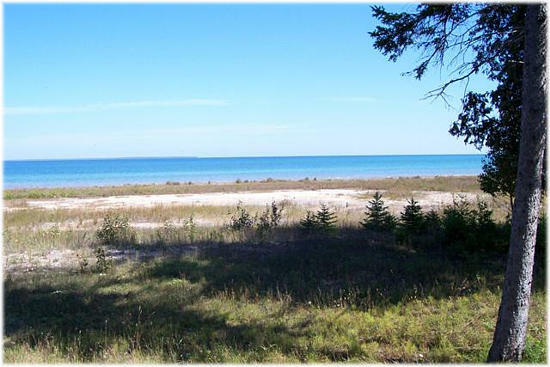 A view of the St. James Lighthouse and sailboats entering the bay provides for a peaceful afternoon watching the water. The backyard features a grill and firepit to BBQ or roast hot dogs. 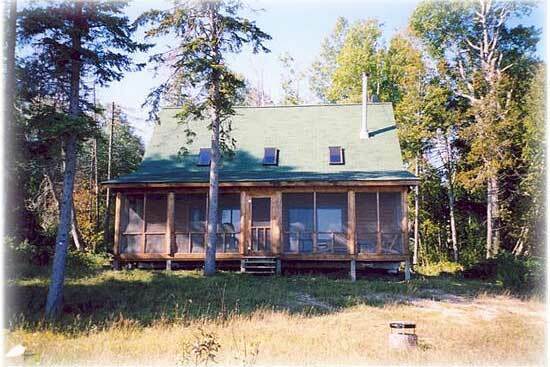 The cabin also has a wood burning stove for fall and winter visitors.